Livestock is vital to many Montanans way of life and there are ways to protect your land from erosion, increase water quality, and still allow your livestock to access water through the adoption of Best Management Practices (BMPs). 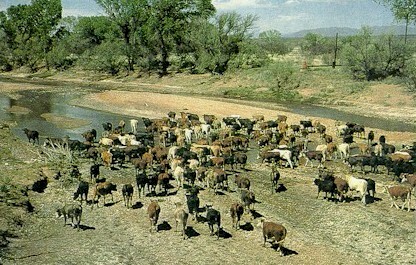 Open grazing along the banks–if allowed to be done in excess–can cause erosion, loss of land, and decreased water quality. 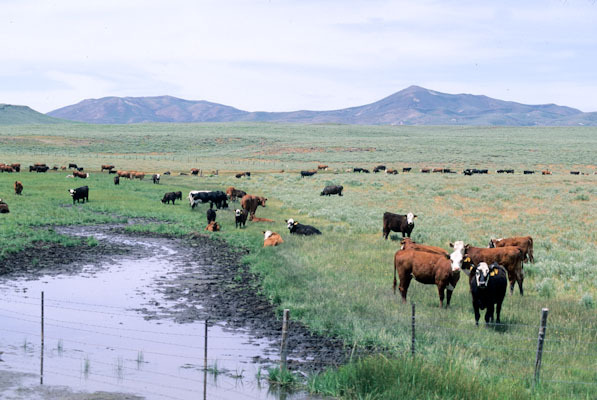 Overgrazing causes channels to become wider and shallower and in turn there is a loss of fish habitat, a loss of lush riparian vegetation, increased flood damage zones, increased erosion, increased channel migration, and decreased water quality. The development of livestock watering access points like water gaps, along with fencing of the stream is an excellent approach to protect your land and its resources while still allowing for livestock to access their water source. There are other off-stream watering source practices such as holding facilities that can be implemented as well. Here at the conservation district we provide a cost-share program to help you implement BMPs for your land. Contact us for further inquires.